As Tanzania celebrates the 49th Year of the Union between Tanganyika and Zanzibar on April 26, 2013 Ecobank Tanzania is confident about the country’s economic prospects. The Tanzanian economy is growing rapidly and has opportunities in various sectors including Agriculture, Infrastructure, Tourism, Tele-communications and more recently the Oil and Gas discoveries. “Our strategic priorities are aligned with Tanzania’s socioeconomic imperatives ensuring that as pioneers of pan-African banking, we contextualize our tactics and approach to achieve maximum impact in the delivery of financial services to a broad spectrum of customers. Ecobank inatuwezesha is our promise, so we look forward to giving numerous Tanzanians a passport to financial freedom. Pamoja, tunaweza kwenda mbali.”added Enoch Osei-Safo. 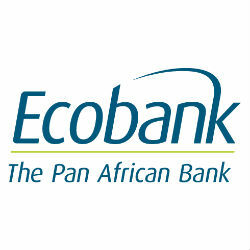 Ecobank Tanzania is focussed on socio-economic empowerment in the country with participation in assisting financial inclusion, developing the investment potential in the Tanzania and environmental conservation.